A mistrial was declared in Philly Mob boss "Skinny Joey" Merlino's federal racketeering and conspiracy trial after a hung jury in February. 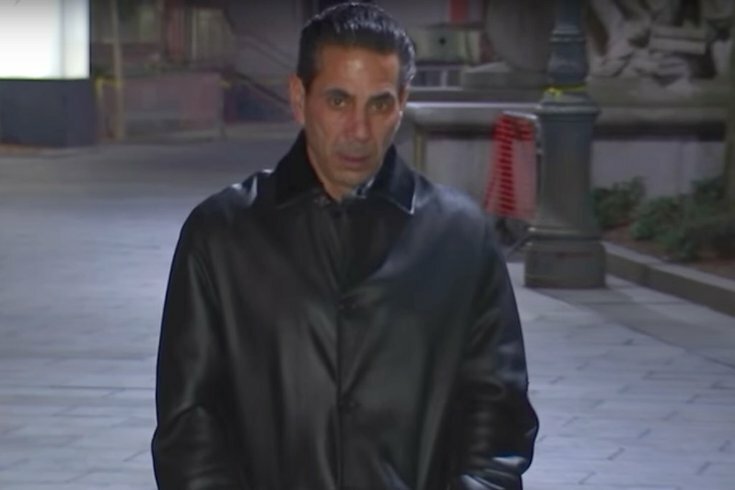 Philadelphia mob boss "Skinny" Joey Merlino pleaded guilty Friday to a gambling charge after his February trial ended in a hung jury on federal racketeering and conspiracy charges. He faces a maximum sentence of two years in prison. Prosecutors announced March 30 that Merlino, 56, would plead guilty rather than face retrial in the case. "In my experience prosecutors will try the case again. What makes this case exceptional?" Sullivan asked Assistant U.S. Attorney Max Nicholas. "Sheldon Silver is going on trial next week," Sullivan added, referencing the retrial of the once-powerful Assembly Speaker. "They should have called that one off too?" Silver, 74, is the former New York State Assembly speaker accused of selling his office in exchange for $4 million in kickbacks. A technicality resulted in the overturning of his 2015 conviction. The government had accused Merlino, who now lives in Boca Raton, Florida, of profiting from gambling and health insurance schemes run by East Coast organized crime families. He had claimed that he has moved on from a life of organized crime after serving a lengthy prison term in another case. All along, according to people familiar with Merlino's thinking, the flamboyant South Philly mobster had considered the trial an opportunity to hold federal law enforcement accountable for actions that bordered on criminal. Merlino will be sentenced by Sullivan on September 13.